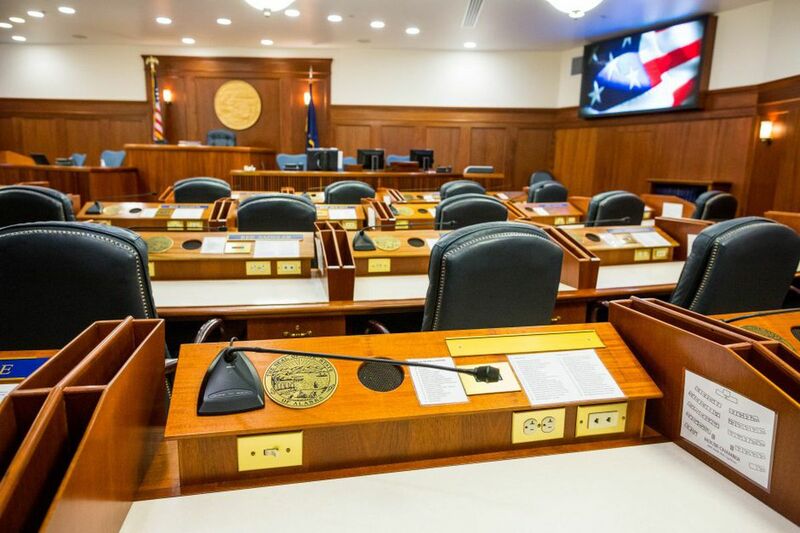 JUNEAU — Rep. Gary Knopp, R-Kenai, will vote for a Republican speaker of the House and break the ongoing leadership deadlock in the Alaska House of Representatives, he said Monday evening. “I’m going to be the 21st vote to support a Republican-led coalition or caucus,” Knopp said. “We’ll see what the board says tomorrow,” said Rep. Chuck Kopp, R-Anchorage. “I don’t care who the leadership is. I don’t think it has any chance of success,” he said. Knopp, speaking frankly about his decision, said he labored over the choice. “I decided probably Friday, maybe Saturday, that I was going to announce that I was ready to support an organization,” he said. He didn’t know at the time whether it would be a predominantly Democratic coalition or a Republican bloc. He said Monday that he believed there were four Republicans willing to join the Democratic coalition, and in a joint meeting of the Republican bloc Monday afternoon, he said he would be willing to join either group. “The real question is do you want me back?” he said he told the group. “I’m not likely to renege on the promise I made to them,” he said of his choice to back a Republican. Correction: An earlier version of this story incorrectly reported that Knopp said he would back Rep. David Talerico, R-Healy, for speaker of the House. Knopp said he would vote for a Republican, not Talerico specifically.